Does your brand appear in the top search results of your market segment online? In an increasingly connected world, having a well-built online presence is essential to make your business stand out among competitors and to increase your brand’s visibility. Therefore, digital marketing is important for all types of business, whether online or not. But do you know how to use your strategies effectively? 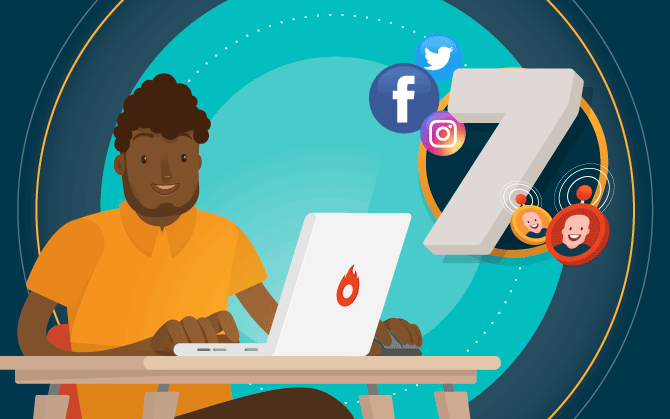 To help you, we’ve selected 7 digital marketing tips that will boost your reach on the internet and increase your sales. Read on to check them out! From the screen of our cell phones, tablets and computers, we do most of our day-to-day tasks. We go to the internet to talk to relatives and friends, research on various subjects, we use apps to get around the city and keep up with what happens around the world in real time. Therefore, it is only natural that before buying something, people also make an online research to learn more about the products and services available in the market. That’s exactly when digital marketing comes into play. In short, we can define marketing as a set of strategic actions to attract, communicate with, build an image and create a connection with your target audience. But some marketing strategies are specific to the digital environment. By using digital platforms and internet tools, it’s possible to run campaigns, promote content, and talk more efficiently and directly with your customers. Want to know precisely how to explore all these opportunities? Take a look at our digital marketing tips below! Identifying who the potential buyers of your product or service are, is the first step in developing an ideal digital marketing strategy. Sounds complicated? This exercise below can help you. Is there a prevalence of gender, profession, age, or region where they live? What are the reasons why these people find a solution to a problem in your brand? If you offer more than one type of product or service, can you identify the differences among people who buy each one of them? After this analysis, it’s time to use this information to create a fictional character that represents the expectations and behavior of your real costumer. This is the person who is more likely to be interested in your product, and we call them a buyer persona. You can further understand this subject by reading our practical guide on how to create a buyer persona for your business. Have you ever heard of keywords? They are the set of words, phrases or terms that sum up the main point of a certain subject. In digital marketing, keywords are used to guide the construction of websites, blog posts, landing pages, among other content. If you’re able to work these words along with SEO techniques, your page is likely to have a good position in search engines and therefore, more customers are bound to visit your page. That happens because, when a person accesses Google, for example, and searches for a particular subject, they intuitively use those terms. That means that using keywords in your content will help you reach the exact audience that is looking for your business. Therefore, it’s essential for you to know the main terms and trends related to your business. To do that, you can use keyword tools that will make this work much faster and more accurate. As we’ve mentioned, content that uses the right words will have a greater chance of appearing in the first positions on search engines. But more than getting people to click on your link, you need to get them interested in what they’ll find there. Moreover, the basis for a good digital marketing strategy is quality content, that is well produced and offers useful information. Delivering the answers that users are looking for is a key factor in creating a relationship with your target audience and possibly converting them into loyal customers. Take the time to find the guidelines and topics relevant to your audience. Think about how your business can help them find solutions to their problems. It’s important that your ideas are not forgotten, so we suggest you create an editorial marketing calendar. In it, you’ll gather all the actions you should put into motion, you’ll set deadlines and goals, and you’ll probably manage your time better. Even if your business is not digital, people will search for it on the internet. And if they don’t find you, they’ll probably find your competitors. That’s why being present on all the channels your target audience uses is key. In addition to websites and blogs, social media is an important channel of communication and a way to connect with your clients. Having a digital presence is a way to talk directly to your audience, engage them and make them identify with your brand, by answering questions and making them offers. By building a relationship of trust with your customers and potential customers, you make them powerful influencers in their circles of friends, family, and co-workers. Keep in mind that all platforms used for your digital marketing strategies should be aligned under your brand’s speech. Therefore, be aware of the tone of voice and how you portray your brand. Have you heard of a sales funnel? This strategy is widely used in Inbound Marketing and allows you to guide your customer on a shopping journey. To do that, you must think of a funnel composed of 4 stages: attract, convert, close, and delight. Attract – Recognize a problem and search for more information. Convert – Identify possible solutions and consider products and services available in the market. Close – Decision-making process. Evaluate prices, payment methods, discounts offered. Delight – Satisfaction with the purchase and begins a relationship with the brand. Engagement is clear and spontaneously promotes it among their circles of friends and relatives. To understand more about how to work your content in each of these stages, read our full post on sales funnels. After so much dedication to producing good content, don’t forget to think of strategies to promote it. There are several possibilities on how to promote content on the internet. So it’s worth learning more about paid strategies such as social media ads and Google Adwords, also look up organic traffic strategies, how to use SEO techniques and social networks, as we’ve explained above. The interesting thing about investing in paid media ads is that it allows you to target your ads to a specific audience. That is, your ads will only appear to people who fit your buyer persona’s profile, in other words, your potential buyers. To further expand your reach, you can also use transmedia storytelling. For example, after publishing a post on your blog, you can post it on your Facebook page and invite your fans to comment on what they’ve read. Likewise, when posting a video on Youtube, you can ask your followers to look you up on other channels so they can receive further information on the subject. The most important thing is to ensure that your audience receives your content and is engaged. Even if you’re sure that a strategy is going to work, it may not bring the expected results. So, always have a plan B to put into action. Change the title of your texts, work on other keywords, use diverse strategies on social media, make different ads. Always remember to record the data related to these attempts and analyze those results. Testing different strategies is a great way to get to know the behavior of your target audience in the digital environment. Over time, your actions will become more and more effective. Did you like these digital marketing tips and want to learn about other strategies to apply to your business? Check out our post with 11 marketing strategies to attract more customers! 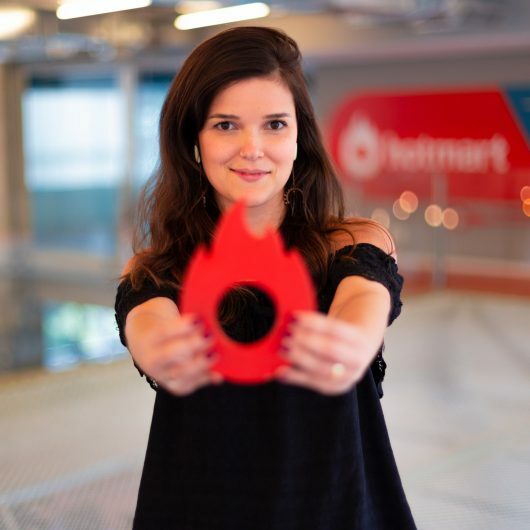 Marketing analyst who loves music, fashion and dogs.